The course is not available for International Students. The Certificate III in Indidiual Support (Ageing, Home and Community) course provides students with a holistic approach to caring for the older people within our community. This course is designed to equip students to provide physical and social support to elderly individuals and people in hostels, group homes and community settings. The course also aims to provide students with the knowledge, skills and values required to perform competently as professional Health Care Workers. This group of professionals are expected to carry out activities to maintain personal care and/or other activities of living for people in an aged care setting. 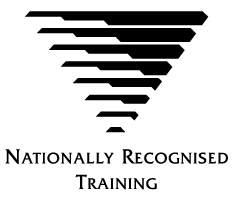 This qualification addresses work primarily in residential facilities, under direct or regular supervision, within clearly defined organisation guidelines and service plans. The course structure is designed to ensure a balance between theory and practice. To receive this qualification you must complete 13 units, 7 core and 6 electives. Students attend college 20 hours per week over 2 days.